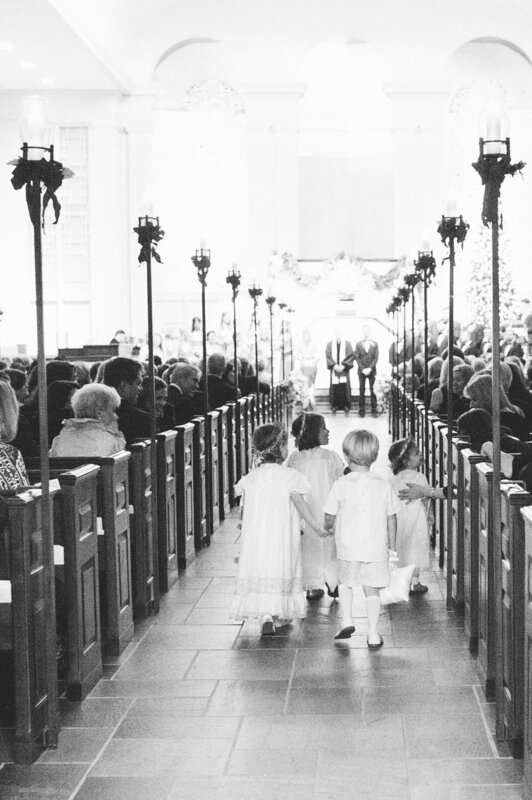 There is something about a Christmas wedding that is so magical. Arabella and Jim had the most beautiful Christmas wedding at Mountain Brook Baptist on December 17, 2016. Every detail of this wedding was stunning. From Arabella's home where she and her bridesmaids got ready, to Bridgestreet Gallery and Loft where everyone celebrated after the ceremony. Spindle Photography captured every moment of this dreamy Christmas wedding! These wedding photos are hands down some of our absolute favorite photos!